I forgot to take a before photo....again! 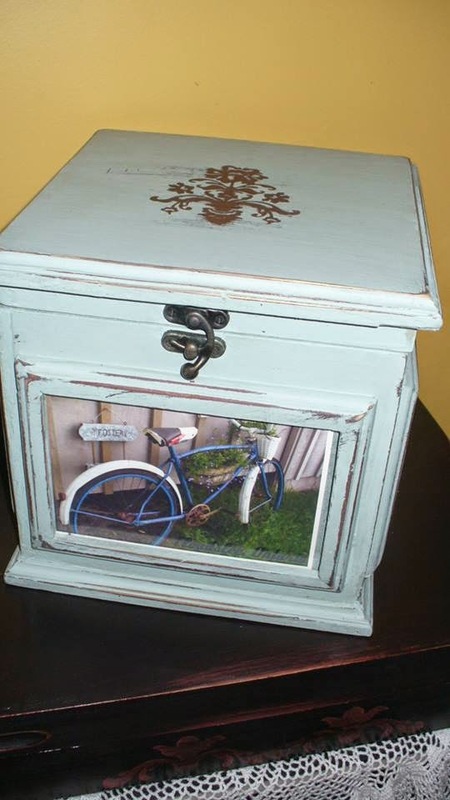 Here is a simple redo of a standard wooden photo box. Before I started I put a custom vinyl cutout on the top. I used my Cricut & the "Sophisticated" cartridge to make the vinyl. I painted 2 coats & then removed the vinyl. I then did some sanding/distressing, & varnished.